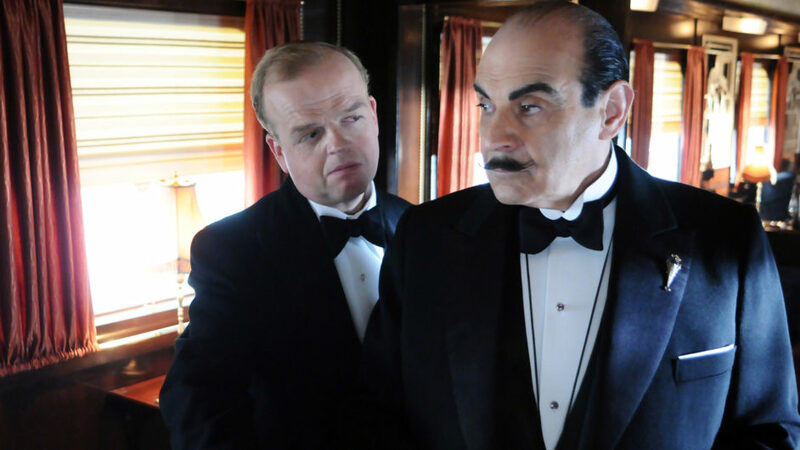 While traveling on the luxurious Orient Express, Hercule Poirot (David Suchet, Decline and Fall) meets Samuel Ratchett (Toby Jones, Detectorists), an unsavory businessman who fears for his life. Not caring for the man or his money, Poirot declines his demand for professional protection. But when Ratchett is stabbed to death, the detective is determined to find the culprit. Did an assassin sneak aboard in the night—or is there a killer hiding on the snowbound train? The suspects include a meek governess (two-time Oscar® nominee Jessica Chastain, Zero Dark Thirty), the dead man’s servant (Hugh Bonneville, Downton Abbey), an imperious princess (Eileen Atkins, The Crown), an army colonel (David Morrissey, The Walking Dead), and a pushy American (Barbara Hershey, Hannah and Her Sisters). As Poirot sorts through the conflicting clues, what he discovers may shake him to his core. Sinister and foreboding, Agatha Christie’s quintessential murder mystery is brought to life by an all-star cast and explores the nature of justice and the limits of the law.